The Supreme Court on Thursday granted Lagos State leave to appeal against acquittal of Major Hamza Al-Mustapha of the murder of Alhaja Kudirat Abiola. The Court of Appeal, Lagos Division on July 12, 2013 acquitted Al-Mustapha of the murder charge. Kudirat was the wife of the presumed winner of the June 12, 1993 presidential election, the late Chief Moshood Abiola. Lagos State Government accused Al-Mustapha, the Chief Security Officer of late Gen. Sani Abacha, of playing a role in her murder. Justice Walter Onnoghen held that Lagos State’s application for the leave was successful since it was not challenged. “In the circumstance, the applicant, the Lagos State Government, is granted the leave to appeal the July 12, 2013 judgment of the Court of Appeal, Lagos. “The would-be appellant is therefore given 30 days within which to file its notice of appeal. “ The date for the hearing of the appeal shall be fixed upon receipt of this notice by the court,’’ he said. Earlier, Mr Joseph Daudu (SAN), counsel to Al-Mustapha, withdrew an application against re-opening of the case. Daudu did not disclose the reason he withdrew his objection. He had argued that the applicant `slept’ over its right of appeal for about four years, adding that it was against court rule. Justifying the lateness in filing the appeal, Mrs Oluwayemisi Osunsoya, counsel to the applicant, said that it waited for the report of the state’s review teams on the matter. She said that it took a long time for the two legal teams to present their findings. The counsel had urged the court to relax its rule in the interest of justice. 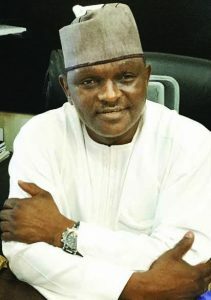 The News Agency of Nigeria (NAN) reports that Lagos State Government had charged Al-Mustapha, Mohammed Abacha and Lateef Shofolahan with conspiracy to commit murder and murder of Kudirat, before a Lagos High Court. Kudirat was killed on June 4, 1996. In the high court judgment delivered in 2012, Justice Moji Dada found the accused guilty as charged, and sentenced them to death by hanging. However, the Court of Appeal upturned the judgment. The court held that the evidence against the accused was not strong enough to warrant the death sentence passed on them.